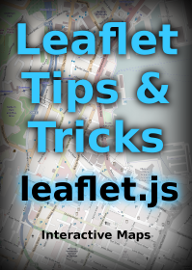 D3.js Tips and Tricks: Leanpub. A great option for sharing the (d3.js) love. Leanpub. A great option for sharing the (d3.js) love. 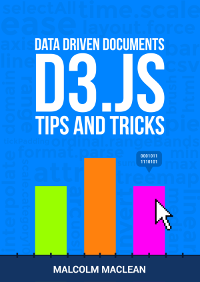 Hopefully if you're reading this you have more than a passing interest in the awesome visualization framework d3.js and perhaps even the book I've been writing called D3 Tips and Tricks. Today, the readership of D3 Tips and Tricks passed 1000. That's not World changing, but I'm hopeful that in some small way that it's a better place. And I figure that it's time to give some kudos to the service that has helped make that possible called Leanpub. Leanpub is short for 'Lean Publishing' and it embraces the idea that an author can write a book as a process. That process should involve the readers and provide the opportunity for overall improvement to the final product, a finished item that people actually want and a mechanism for writers to get reasonably recompensed for their efforts. When I originally decided that writing a book that collated the learning process that I've been going through (and continue to go through I might add) I struggled to find a way to present the information that made the work available for free and allowed readers to suggest improvements to the work as it was developed and added to. I tried sharing a public document via Dropbox which was reasonably successful, but there was no mechanism for people to know when a better copy was ready and there were sometimes hiccups when people went to download the pdf. So I moved to hosting it on Github. That made it easy for people to download, and there was even version control, but the alerting feature had to work via the blog at d3noob.org or twitter alerts. That was clumsy and overly complicated. Then I stumbled across Leanpub. I don't know how I didn't find it when I was trying to get started, but it was genuinely everything I was wanting in a publishing service. You write your manuscript in markdown which is then formatted (automagically) for distribution into pdf, epub and mobi electronic formats. Your book can start life as your blog and Leanpub will import it or you can start from whatever notes you have in a textual form. If you haven't used Markdown before, the idea can be a little daunting, but after a few hours use, it will seem like a pretty clever idea and you'll be hooked. Leanpub provide a home page for your book and a huge range of formatting options. It really is a one stop shop. So how much do they charge for this? Yeah, I know. Doesn't seem right. What's the catch? Perhaps the percentage they take from sales will be when the gouging begins? Sorry, no. They work on a simple system where the author earns 90% of the sale price of the book, minus 50¢ per sale. Now, I'm no expert on how this type of thing works in the big bad world, but I would be surprised if the percentage returns from any other publisher comes close to that. So they must force you to sell your book so they get some return? No again. In fact this was the big selling point (pun intended) for me. I wanted people to be able to get hold of the book for free. When you configure the settings for your book you set a minimum price and a suggested price. So the minimum price for D3 Tips and Tricks is $0.00. You can download it for nothing! I took the decision to suggest a price of 99¢ for the book because that's the lowest amount (apart from zero) that you can select and if people find the book useful, and decide to pay more than the minimum, Leanpub get money into their coffers and the service improves! I'm happy to report that people downloading the book have embraced the idea and while I will never retire to live in luxury as an author, Leanpub is receiving a small return and I think kindly of those who contribute with the occasional beer which is paid for by generous souls (who are hopefully enjoying the book). Ahh... Perhaps Leanpub then own the rights to your book so that you're out of the loop for the movie rights or something (D3 Tips and Tricks would make a great movie)? Again no. You keep the rights to your book, not Leanpub. You can do a deal with a traditional publisher at any time. They have a great range of guides to help users develop their work and to constantly improve it. They really are ridiculously altruistic. I've even managed to get entertainment value out of the process. Leanpub provide a range of metrics for your book sales and one of the cool things they do is have a set of indicators for 'Best Sellers'. I find it really interesting to see how the book fares alongside others and have been following D3 Tips and Tricks as it works it's way up the 'Lifetime Number of Copies Sold' chart (currently in 19th place! and aiming for the top 10). They recently introduced a 'Number of Copies Sold in Last 7 Days' page and this provides a better indication of how your book is doing on a shorter time scale. The other day D3 Tips and Tricks snuck into 4th place! Should you consider publishing a book? If you have content which you want to share or want to earn revenue from (or both) that is currently doing a good job in a blog or wiki somewhere I think you should give it serious consideration. 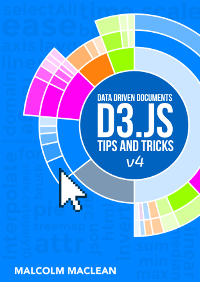 For instance, I would certainly pay money to have a pdf version of Dashing D3.js' awesome tutorials to peruse. I would be really interested to see if the d3.js API could be formatted into something suitable for a book. Again, I'd pay money to have a copy of that. 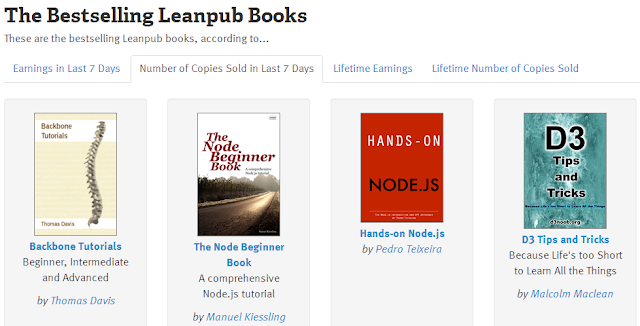 There are plenty of reasons to use Leanpub and plenty of opportunities. I've found the process to be both enlightening and entertaining and I'd like to think that the open source ethos is supported there too. 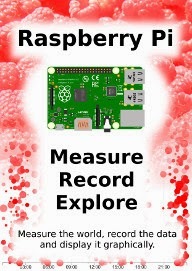 So well done Leanpub. I wish you all the success you deserve.